Junk Food Jones: Now Bring Us Some Cherry Cordials And Bring Some Out Here! Now Bring Us Some Cherry Cordials And Bring Some Out Here! If old poems and carols are to be believed, Christmas is supposed to taste like sugar plums, figgy pudding and wassail (the last apparently obtained via an act called “wassailing” which - at least in the song - sounds vaguely like extortion). Well, I’ve never had any of those foods. 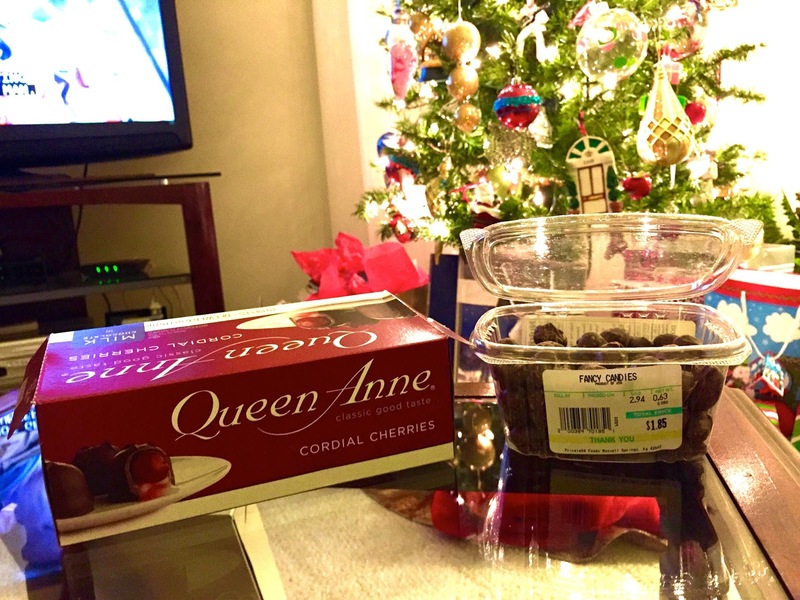 To me Christmas tastes like chocolate covered cherries and chocolate covered peanuts. Better known as “cordial cherries” the chocolate covered cherry is a delicious chocolate lump candy with a whole, real, pitted cherry swimming in a sugar and cherry juice liquid center. Your best approach is to eat them in a single bite and enjoy the cherry explosion. The chocolate-cherry combo is one of the best flavor mixes in the world. Chocolate covered peanuts are just what the name implies. Sometimes sold in clusters, the kind that say “Christmas” to me are individual and double dipped giving you a high chocolate-to-peanut ratio. My grandpa and then my dad loved the cherry cordials and my mom always had the chocolate covered peanuts on Christmas so I did too and do to this day. I literally don’t remember a Christmas without them. Other candies have come and gone but those two have become a Sullivan family tradition. There are years in which I don’t hear anyone singing about Good King Wenceslas or Frosty the Snowman. There are years in which I don’t see Charlie Brown decorate a scrawny little tree or Rudolph exclaim that, “She thinks I’m cude!” There are even years in which I don’t get to come home and see my family for the holiday. 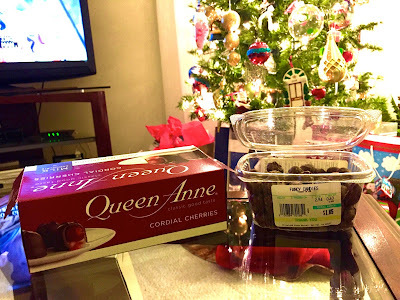 But when I eat a handful of chocolate covered peanuts or bite down on a chocolate covered cherry the Christmas spirit comes rushing right in. Sometimes candy isn’t candy. Sometimes it’s pure Christmas magic.